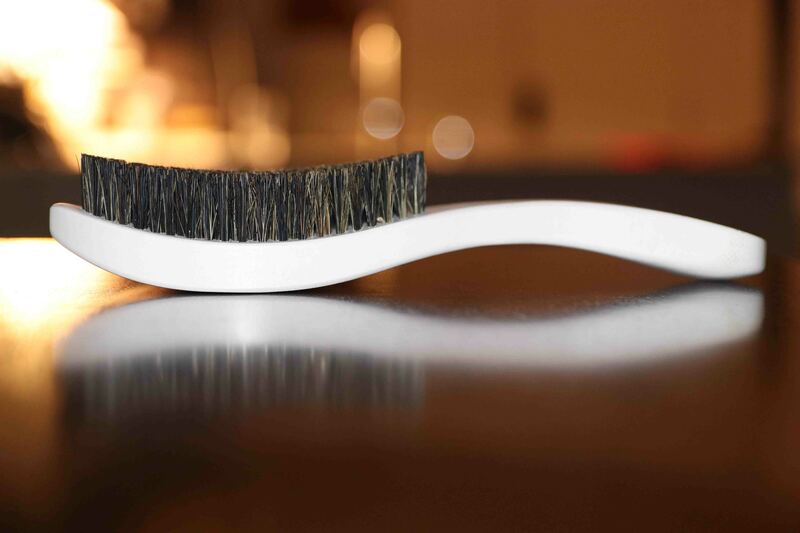 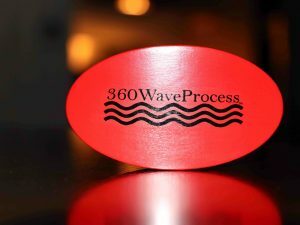 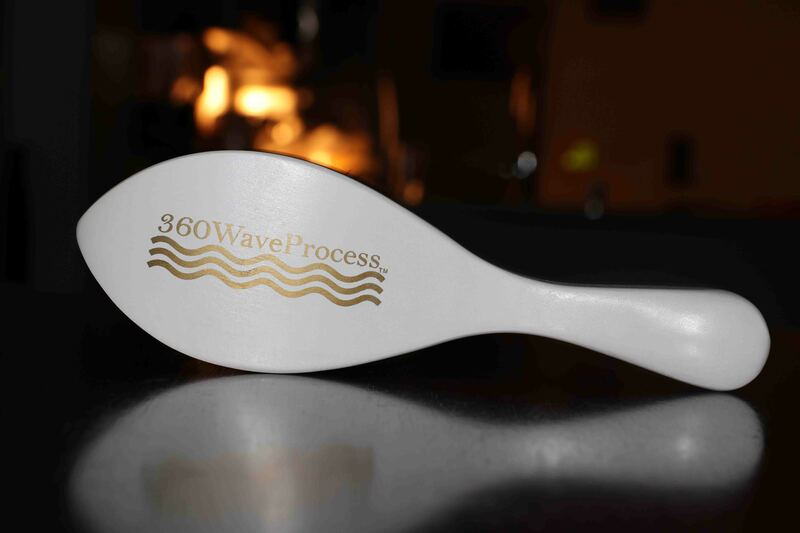 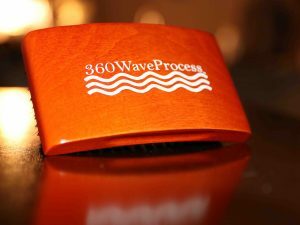 This white and gold colored 360WaveProcess wave brush is designed to work perfectly during the wolfing stage. 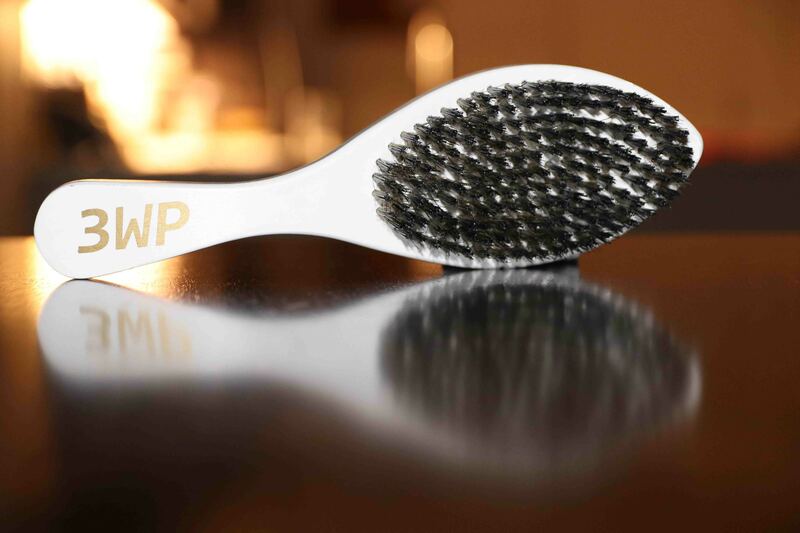 It features a pointed tip that allows for more precise brushing around the crown area. 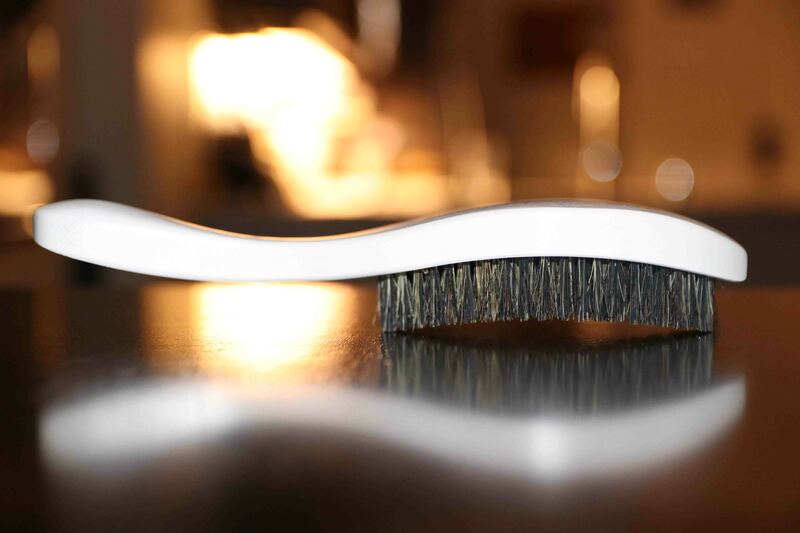 The pointed tip is a feature that can only be found on 3WP Handle brushes.